The situation in the country need to change first. 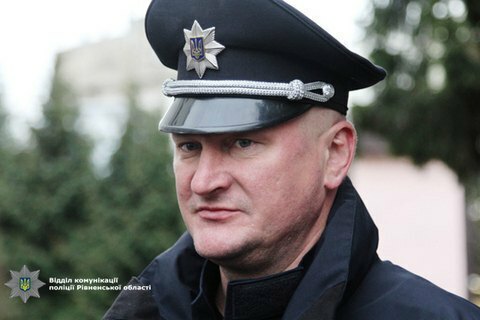 The head of the National Police of Ukraine Serhiy Knyazev says he does not expect radical improvements in the crime rate this year. "I'd like to be optimistic in this regard, but I am a realist. The social situation in the country gives no reason to hope that there will be a radical change in the fight against crime in 2017," Knyazev told Sonya Koshkina on the Left Bank talk show 8 February. Knyazev said lowering the crime rate is impossible without changing the situation in the country. "The economy is not growing fast enough as reform continue, convicted criminals who have served their sentences or received conditional sentences do not line up to labour exchanges," the head of the National Police admitted. "We are talking about street crime: thugs, thieves, burglars, pickpockets... The changes in the criminal procedure code do not provide for pre-trial detention in the case of property crimes, so we are must come up with a legislative initiative to show the Verkhovna Rada where the problem is," Knyazev said. The chief policeman also pointed out to a surge in crimes with the use or threat of use of weapons, especially illegal weapons. He said he was not too keen on the idea of legalisation of free possession of firearms. "We have a war going on, so I would not venture implementing such global changes at the moment. When the war is over, the society cools down, and scum settles down - then we will decide on that", Serhiy Knyazev said. "The Verkhovna Rada should hear the public opinion on this issue," he said. Meanwhile, Knyazev stressed the need to toughen the penalties for the trafficking of weapons.